The lilacs are about to bloom here in Toronto, which reminded me of this shot I took out of a moving car in Sydney back in November. No, I haven't finished Flickring my Australia trip photos! 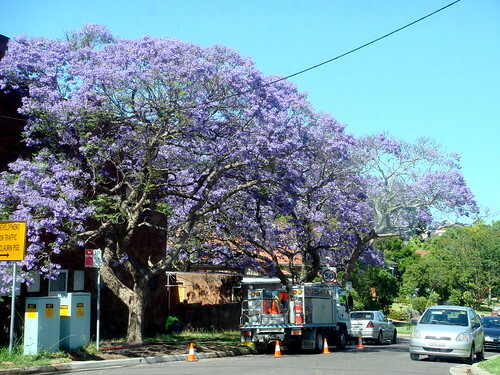 This magnificent row of Jacaranda trees was just off one of the main roads through the northern suburbs of Sydney. The traffic in and around that city is astonishingly bad but at least the sights along the way are a pleasant distraction.